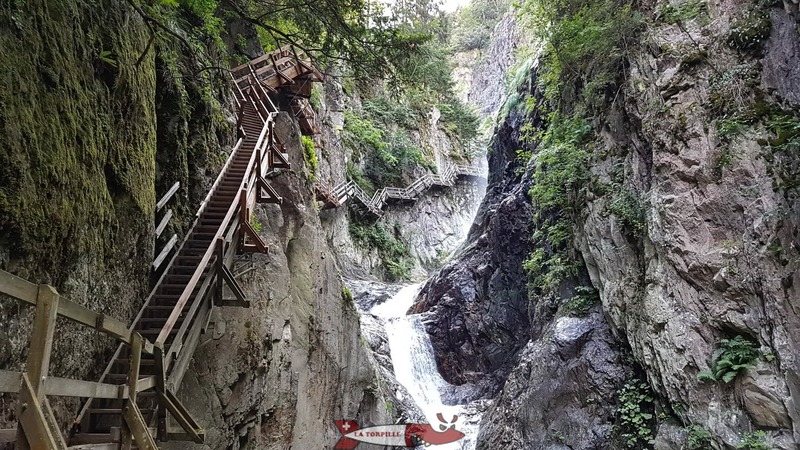 1 The 15 most beautiful gorges of French-speaking Switzerland! 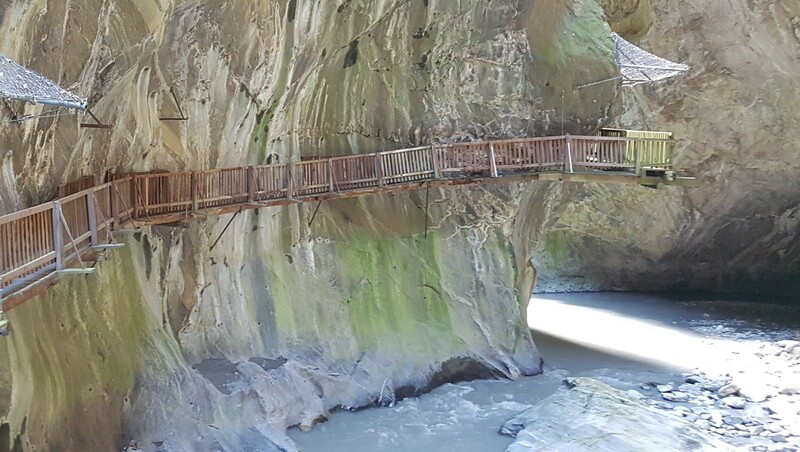 6 Which are the most beautiful gorges in French-speaking Switzerland? 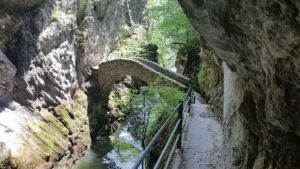 The 15 most beautiful gorges of French-speaking Switzerland! The Torpille team references the 15 most beautiful gorges in French-speaking Switzerland. These gorges can take between 1 to 2 hours to walk but remain quite accessible to everyone. 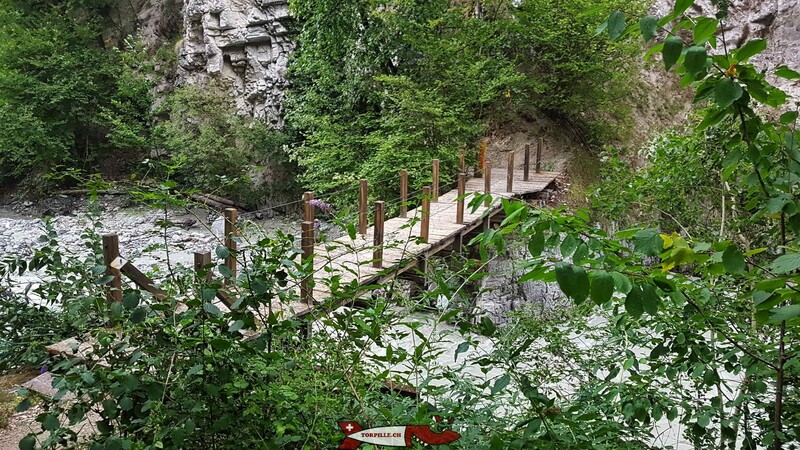 It is the opportunity for a family walk with magnificent landscapes and footbridges overlooking the void. It should be noted that the gorges listed by the Torpille team are those that can be visited using a tourist walkway. Some gorges are particularly impressive but not easily accessible, such as the Ricard gorges under the Niouc suspension bridge or the Salentze gorges under the Farinet footbridge. 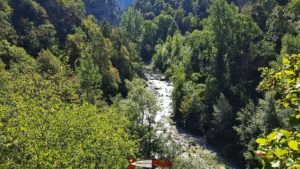 The Ricard gorges from the Niouc bridge and the Salentze gorges from the Farinet footbridge. The gorges of French-speaking Switzerland are classified below by geographical region. 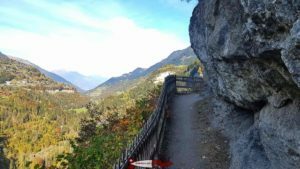 The Alps gorges are mainly located in the Trient valley, roughly west of Martigny. 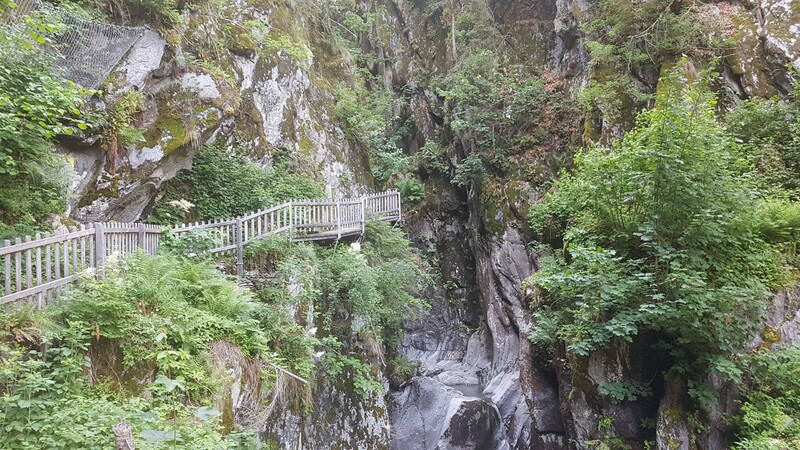 The Durnand gorges are particularly impressive with the gorges rising entirely on footbridges. The Dailley and Triège gorges are similar to those of Durnand with a steep climb in the bed of the gorges and a descent into the forest. 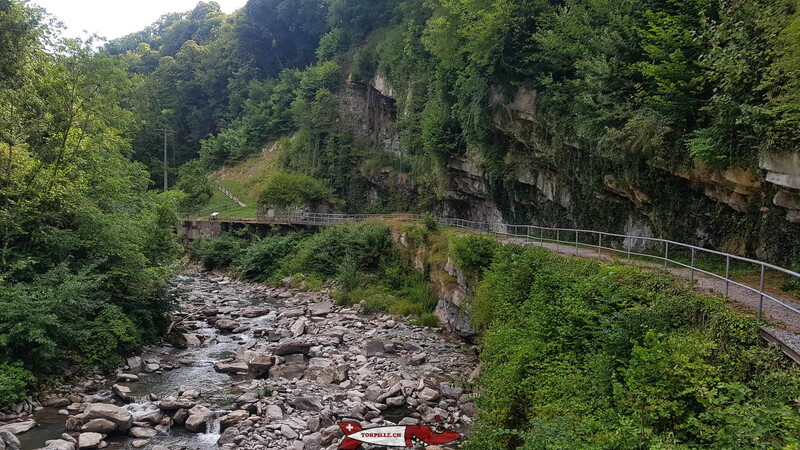 The gorges of Dailley and Triège. 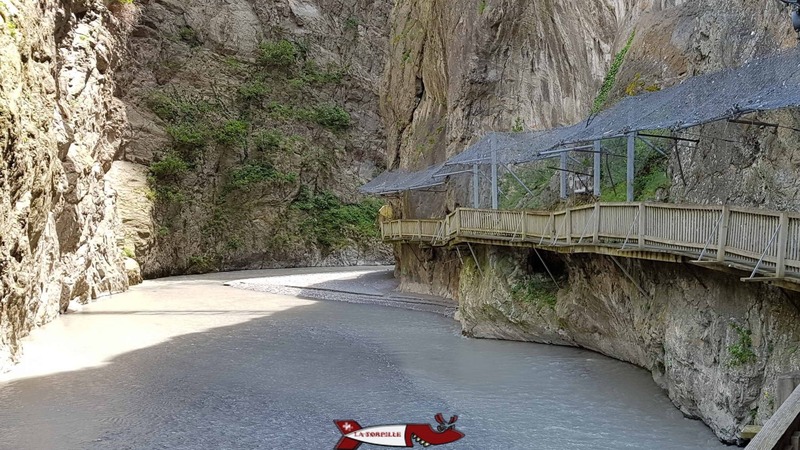 The Trient Gorges are completely on flat footbridges at the bottom of the river bed with a very impressive cliff height. The Mysterious gorges, reachable after a steep descent, allow you to go to the bottom of the river bed to enjoy pretty waterfalls between large boulders. 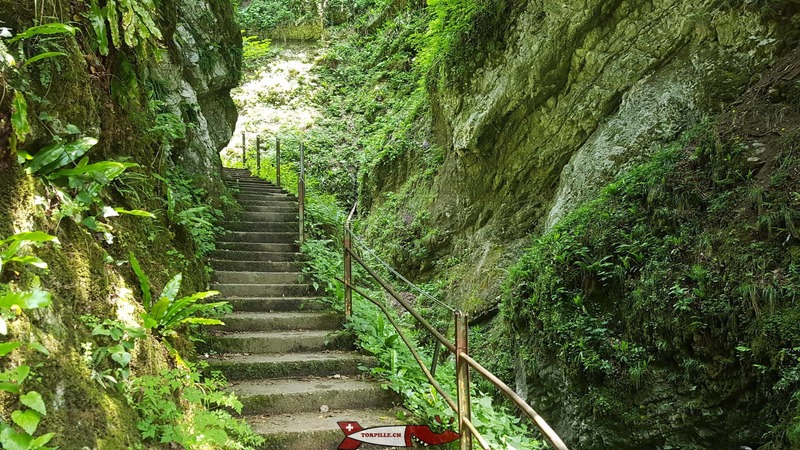 All the paths in the gorges above are very old since they date back to the end of the 19th century. The Vièze gorges are certainly not very impressive and very short but have several advantages that the other gorges do not have, such as didactic panels all along the route, the passage through a suspension bridge crossing the gorges and the very short distance that separates them from the city of Saint-Maurice. 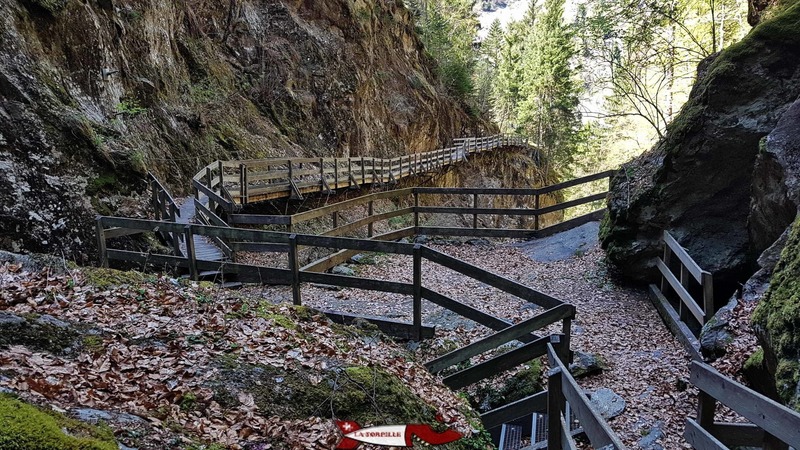 The Défago arcade is located upstream of the Vièze gorges in the Val d’Illiez and consists of an impressive path carved into the rock face opposite the village of Champéry. The Vièze gorges and the Défago arcade. 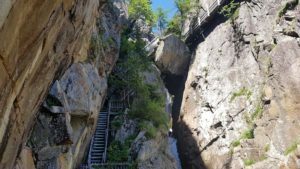 The Borgne Gorges, which forms the bottom of the Val d’Hérens, are particularly deep, although the path is still far from the impressive rocky walls. However, they do offer visits to two unusual sights. The natural pyramids of Euseigne and the water springs of Combioula. 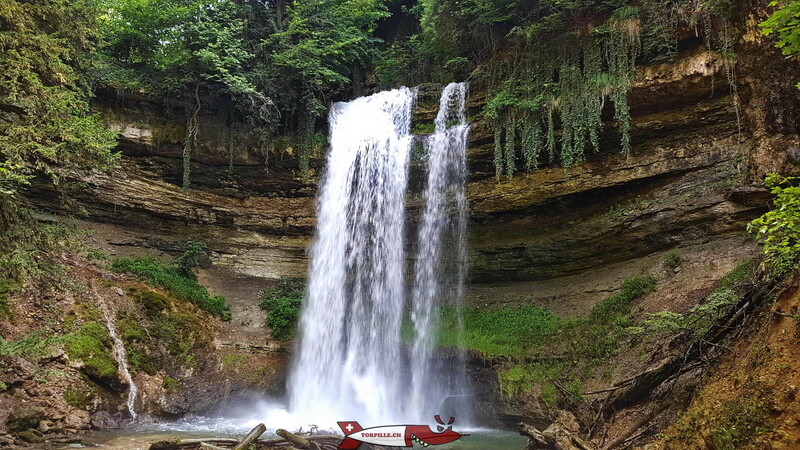 The gorges of the Jura are located in the canton of Vaud and Neuchâtel and are dug by rivers in the limestone. 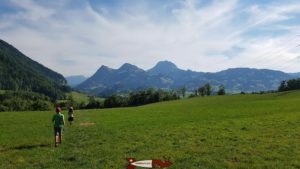 It should be noted that the Torpille team does not visit any attractions in the canton of Jura and the French-speaking part of the canton of Berne, the Bernese Jura. However, these 2 regions have pretty gorges such as the Perrefitte, Douanne or Court gorges for the Bernese Jura and the Pichoud gorges for the canton of Jura. Concerning the referenced gorges, the courses of the Areuse and Nozon gorges do not loop and follow the riverbed in shallow gorges. 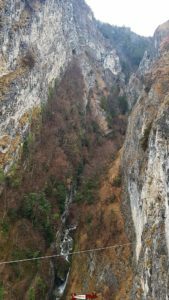 Les gorges de l’Areuse et du Nozon. 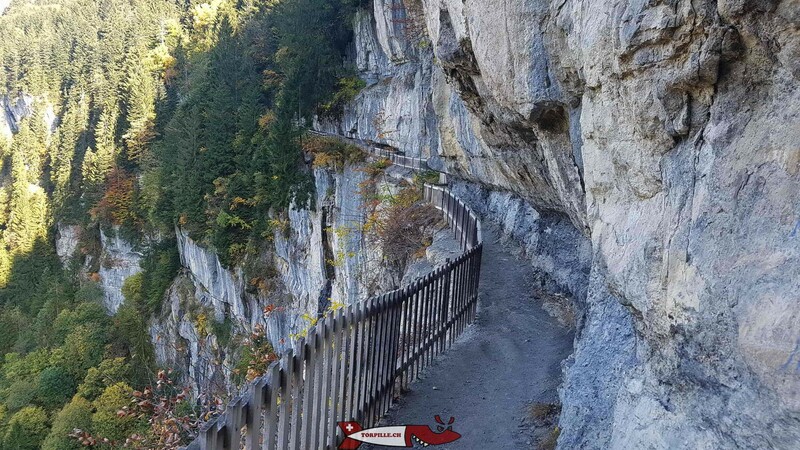 Like the two previous ones, the Covatannaz gorges are linear and connect 2 train stations, so you can take the train to go up and down on foot. 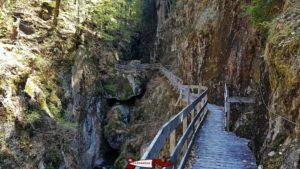 On the other hand, these last gorges are particularly deep but the path remains set back from the gorges for the majority of the route. 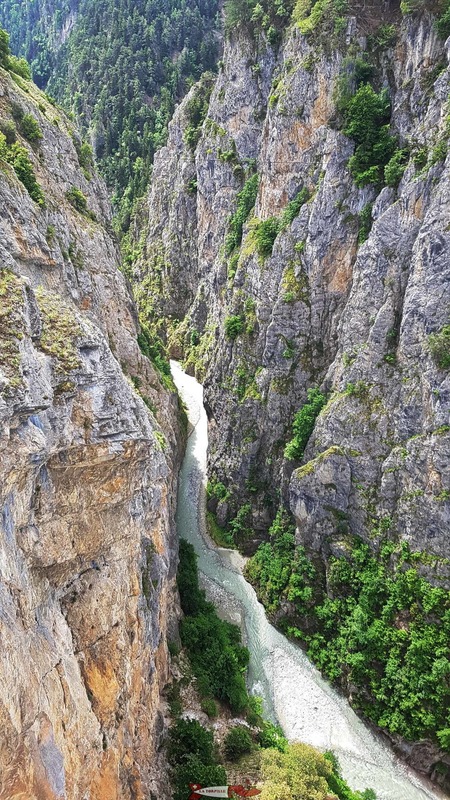 The Poëta-Raisse gorges are the furthest from a car park with a walking time of about 1 hour and the longest walking time with the Areuse gorges. 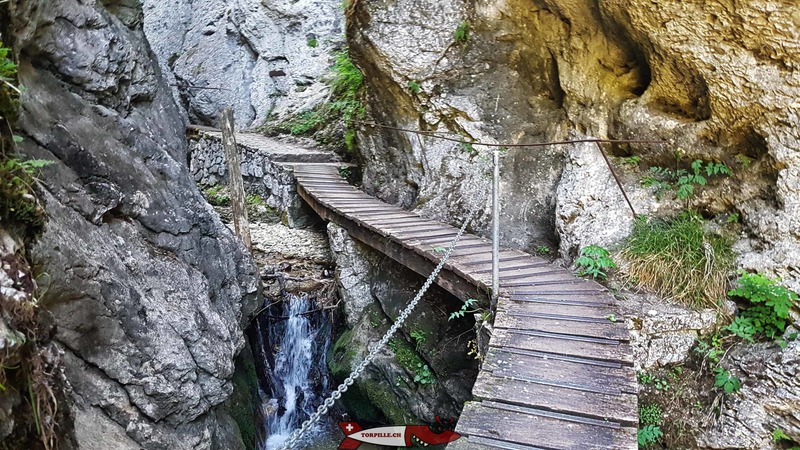 Their route is the least safe but remains one the most beautiful walks of all the gorges. The gorges in this section correspond to the cantons of Fribourg and Vaud and include the Chauderon gorges above Montreux, those of Jogne near Bulle and the Gottéron gorges in Fribourg. These three gorges can be made in the form of a loop with many curiosities to discover. 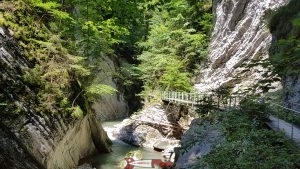 The Chauderon and Jogne gorges. 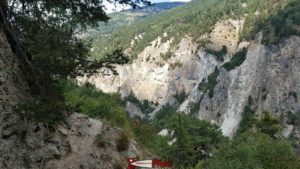 The table below provides a comparison of the different gorges, of course all visited by the Torpille team, with an evaluation. 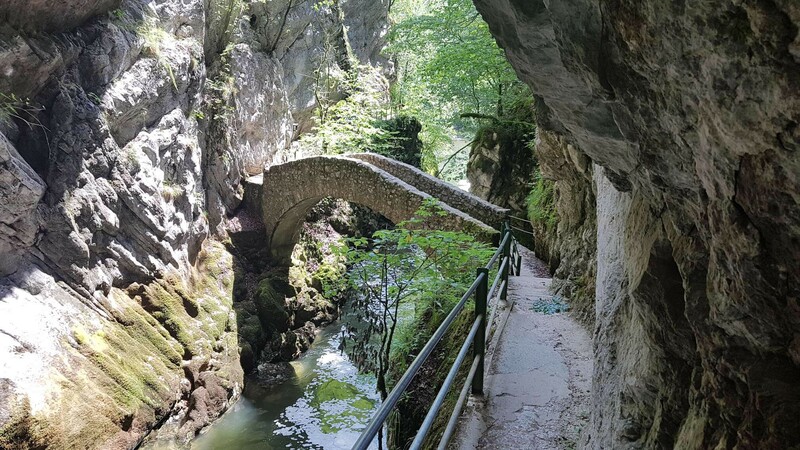 The “gorges ranking” indicates the beauty of the gorges themselves seen from the path and the “route ranking” gives an appreciation of the route and its associated curiosities. 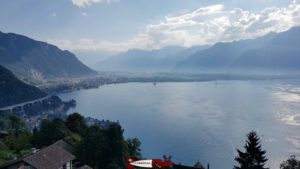 The canton of Geneva is the only one in French-speaking Switzerland that does not have a gorge. Short description Descent from the Noiraigue to the Boudry train station. Descent from the pyramids of Euseigne to Bramois. 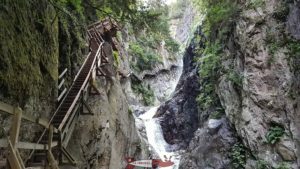 Ascent by the gorges path, passage to Glion and back down to Planche. Descent from Sainte-Croix station to Vuiteboeuf station. Forest road then climbing the gorges. Back down into the forest. 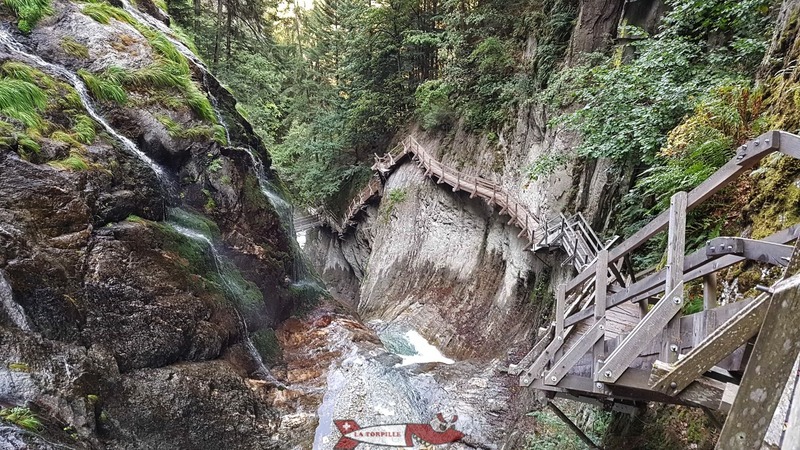 Ascent of the gorges along footbridges, descending into a pine forest. Ascent through the gallery and down a road through the vallon des rives. Ascent from the gorges to the Montsalvens dam and back through the ruins of the Montsalvens castle. 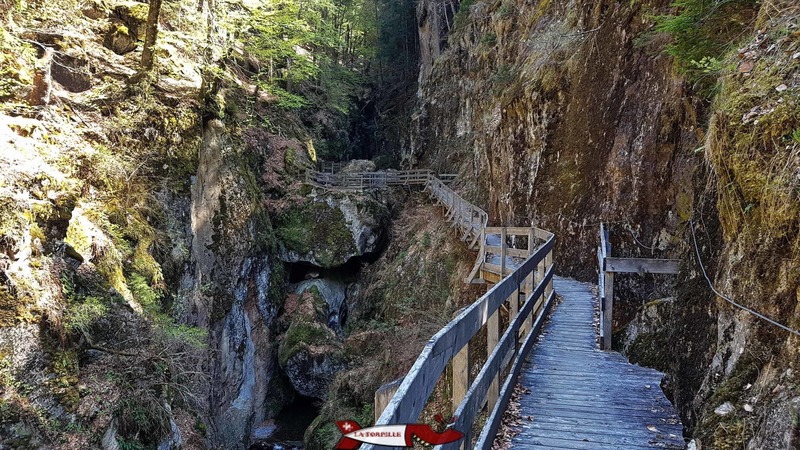 Descent into the forest to the footbridges of the gorges. Back through the forest. 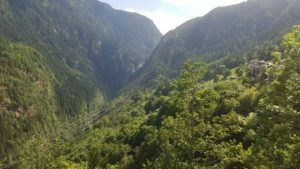 Descent from Croy station to La Sarraz station. 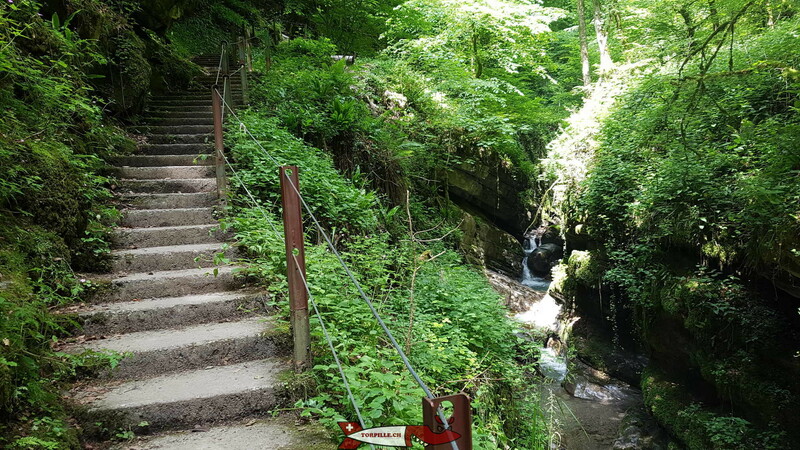 Ascent from the car park to the gorges then back down through Le Breuil and the Château de Motiers. 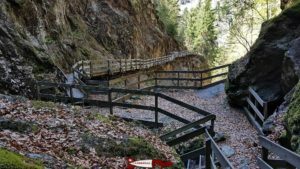 Descent from Valangin Castle to the mills of the Gor du Vauseyon Descent from Parking and up the same path. Go and return on the footbridges at the bottom of the gorges. Climb along the gorges, descend into the forest and the village of Trétien. 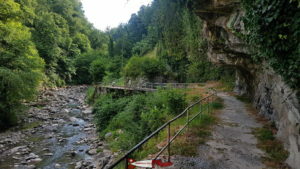 Departure from the Old Bridge, ascent of the gorges by the side of the power plant and descent by the other side. Particularities on the route →Old stone bridge. 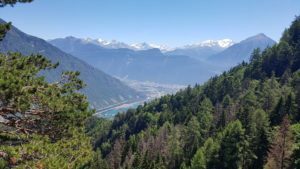 →Territet-Glion Funi and the Rochers train from Naye to Glion. 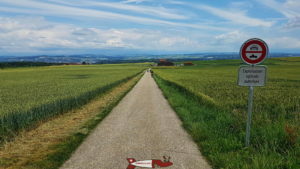 →Telegraph path (1000 steps) →View of Lake Neuchâtel. 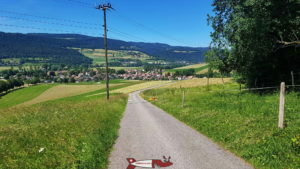 →View on the Rhone Valley. →600 steps. 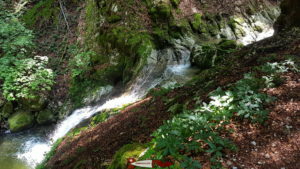 →Giant's kettle and 14 waterfalls. 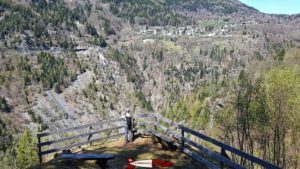 →View point on Finhaut. 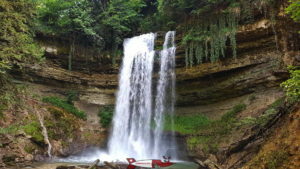 →Dard Waterfall. 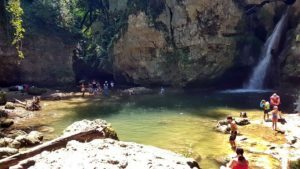 →Etang du milieu du monde. →Môtiers castle →Castle and church of Valangin. →Mills of the Gor du Vauseyon. 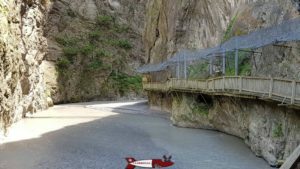 →The route is only on footbridges at the bottom of the river. →100m of rock face height. →Old stone bridge. (Arrival at Boudry station) Pyramids of Euseigne Rochers de Naye train bridge in Planches. Sainte-Croix station. (Arrival at La Sarraz station). Gorges parking. Church of Valangin Ferreyres car park Flower shop "Floral Design" in Vernayaz, before the gorges. Road bridge over the Triège, Le Trétien (Salvan) Old wooden bridge. Creation of courses 1874-1880 End of 19th century. Which are the most beautiful gorges in French-speaking Switzerland?